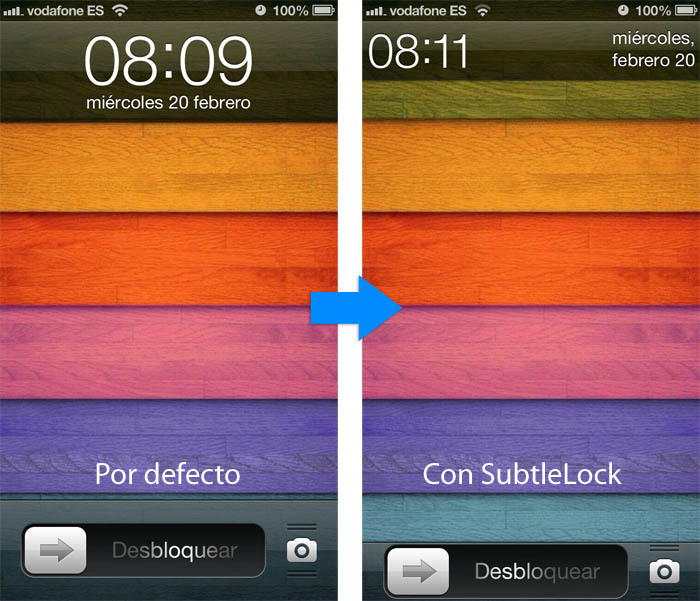 SubtleLock is a tweak for iPhone that allows us to modify the look of the lock screen so as to leave more room for wallpaper and notifications. To this end, both the top bar with the time and date as the release bar will be reduced, making it is very minimalist and giving a new look to our Lock Screen. The downside is that the tweak is not free, so we have to pay $ 1 if you want to use.